The X29 stack comprises of a pair of 2×15″ cabs and a quadruple horn cluster. 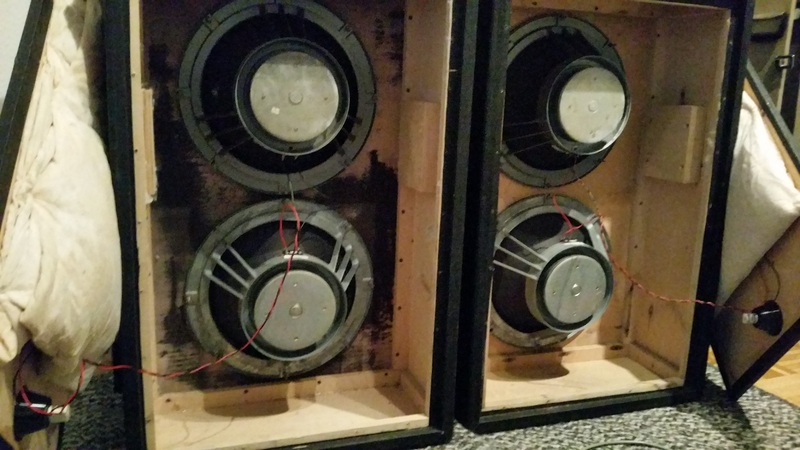 The 2×15″ cabs contain Goodmans 15″ drivers but they are unlabelled and could be either Axiom or Audiom drivers. 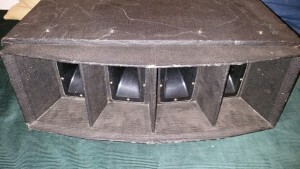 I believe Axion drivers are designed more for hi-fi but WEM are known to have used high powered hi-fi drivers so it wouldn’t surprise me if they are Axioms. 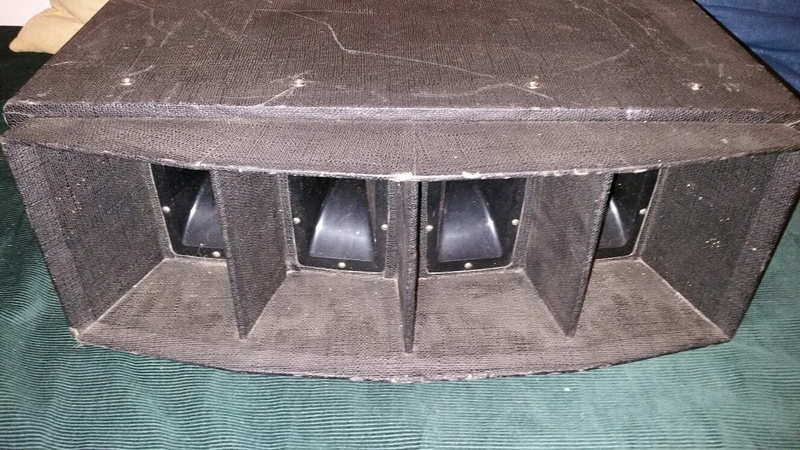 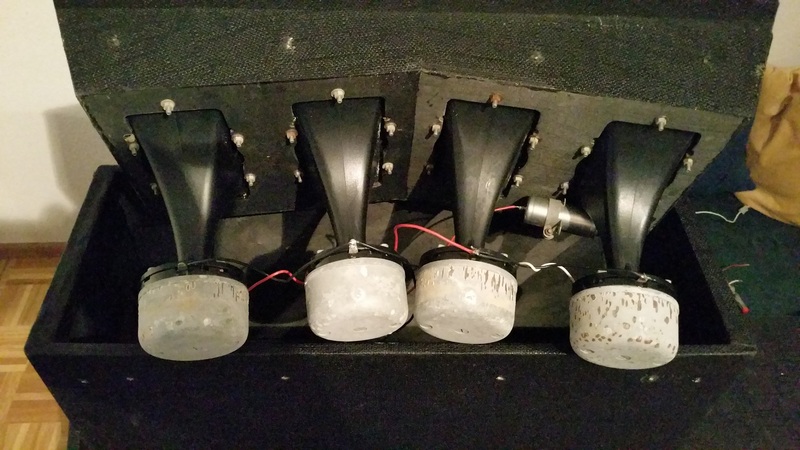 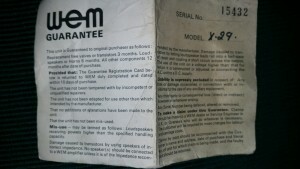 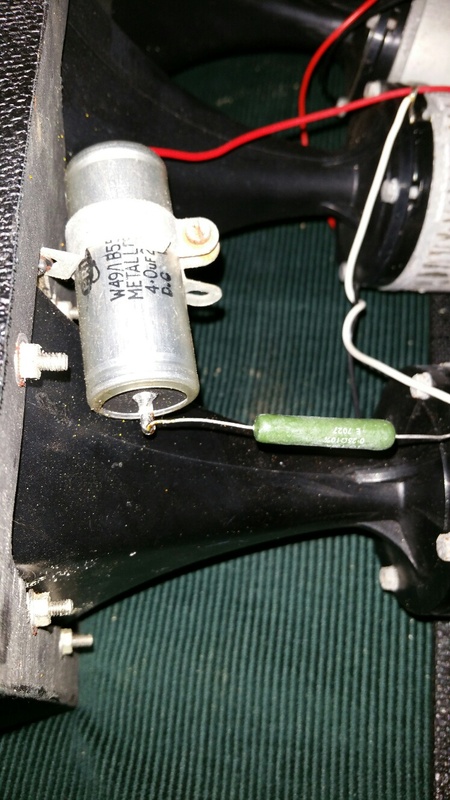 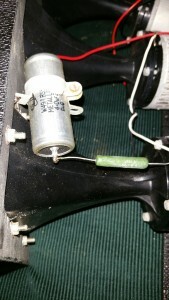 The horns are the Celestion T1360 (MH1000) units which were widely used by WEM and other manufacturers around the same time. 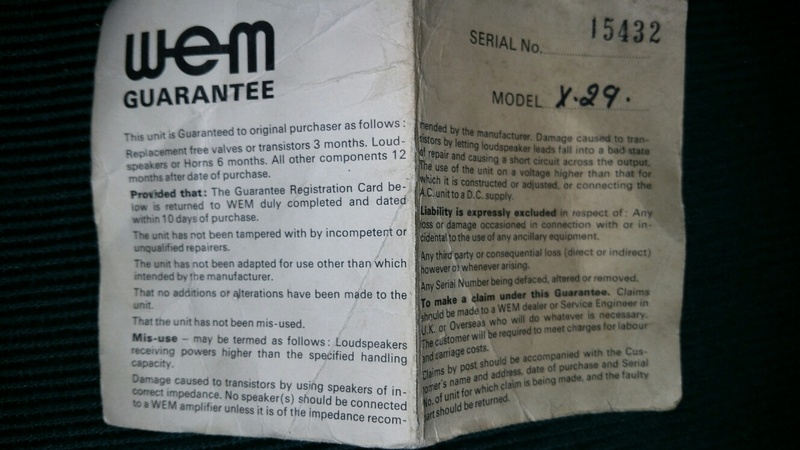 The catalogue describes the stack as being able to handle the output from a 100 watt amp but I suspect they could probably handle quite a lot more than that. 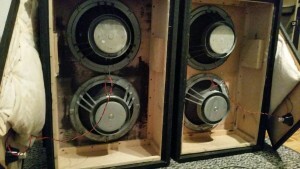 The stacks would normally be used in pairs but could be purchased as a single stack and the 2×15″ cabs could also be purchased individually. 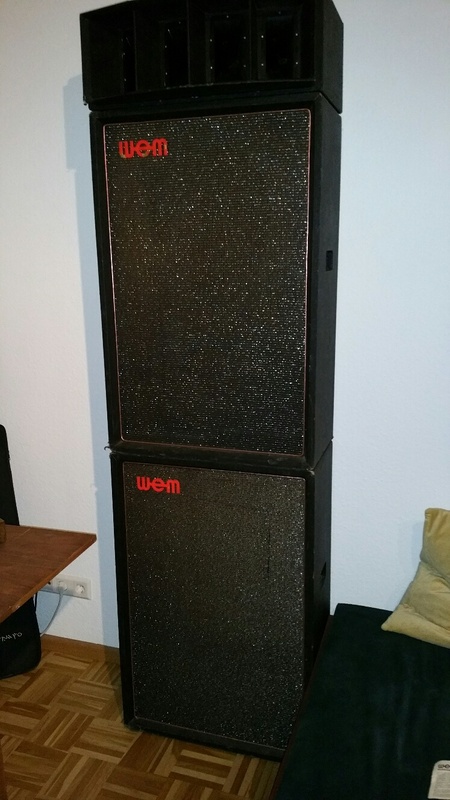 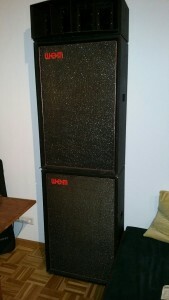 Many thanks to Frank for supplying the following pics of his X29 stack.